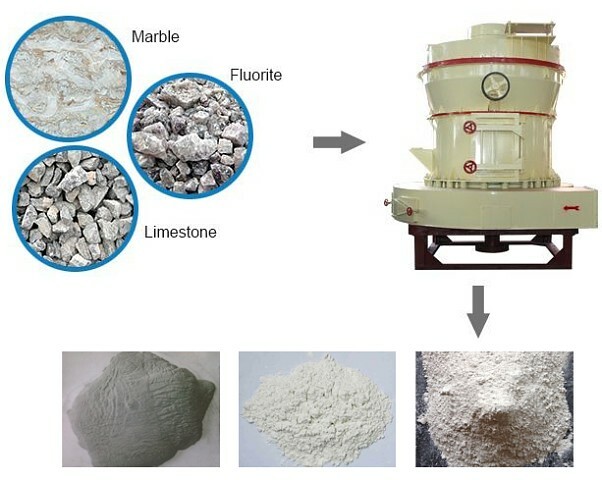 Raymond mill is suitable for medium and small sized mines, chemical plants, smelting plants, ore dressing plants, pharmaceutical companies, refractory material factory, cement plant and other powder making industry. 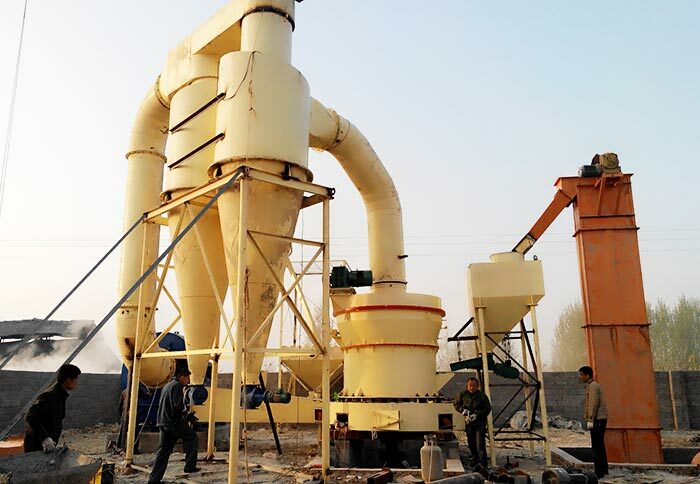 Raymond mill belongs to high efficiency closed-circuit ultrafine grinding equipment, which can replace ball mill. 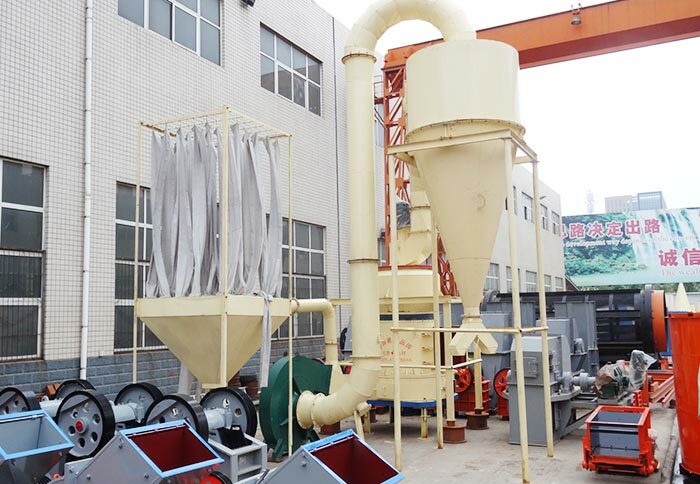 The air flow of Raymond mill is circulating from fan – cyclone separator –pipe– fan. It has less exhaust dust and clean operation workshop without pollution to the environment. 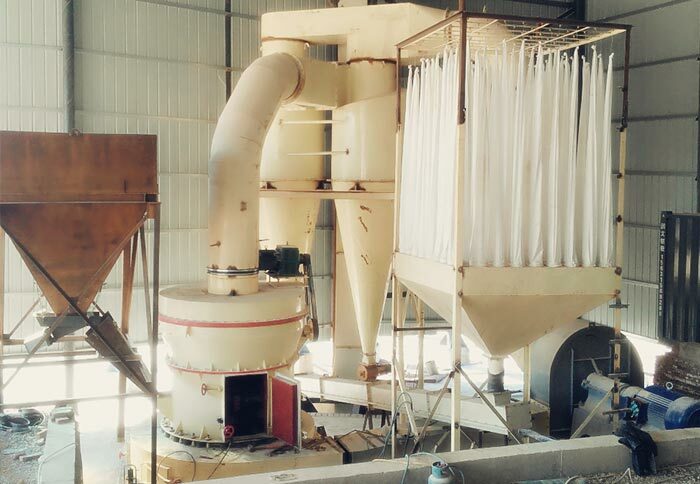 Raymond mill has high output, wide usage, energy saving, convenient operation, low repair rate and small occupation area, which is the ideal investment equipment for small flour enterprises to obtain higher profits. Raymond mill also has other names for example Raymond pendulum mill, Raymond roller mill and Raymond grinding mill. 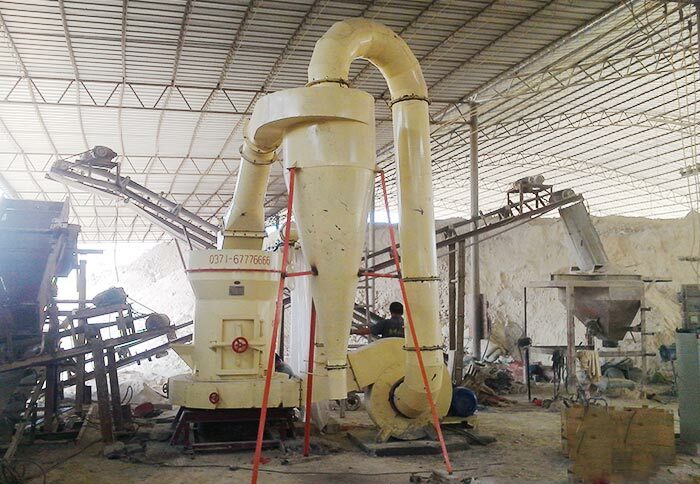 Raymond grinidng mill is suitable for processing more than 200 kinds of materials with no more than 9 level Mohs hardness and less than 6%humidity such as lime powder, zinc oxide powder, manganese powder, talcum powder, powder, potassium feldspar powder, calcite powder, calcium powder, bentonite powder, dolomite powder, active carbon powder, kaolin powder, phosphate rock powder, refractory powder, thermal insulation material powder, iron powder, coal powder, coke powder, clay powder, slag and silica sand in non flammable explosive industry, chemical industry and building materials industry. The processed fine powder can be adjusted in the range of 30-600 meshes. 1. The three-dimensional structure has small occupied area, which is systematic. From the rough processing of raw materials, the delivery to the mill and the final packaging, it can become an independent production system. 2. The finished powder has uniform fineness; the screen through rate is 99%, which is not available for other milling equipment. 3. The transmission device adopts sealed gear box and pulley, which has smooth transmission and reliable operation. 4. Its main components are made of high quality steel; the wear resistant parts are made of high performance wear resistant materials. The whole machine has high abrasion resistance and reliable operation. The host shovel knife is always in contact with the material during the operation process, so the blade frame consists of two parts, the lower frame can be changed by disassembling the connection bolts. 5. The electrical control system adopts centralized control, and the milling shop can basically realize none person working with convenient repair. 7. It adopts electromagnetic vibration feeder, which can feeding evenly. 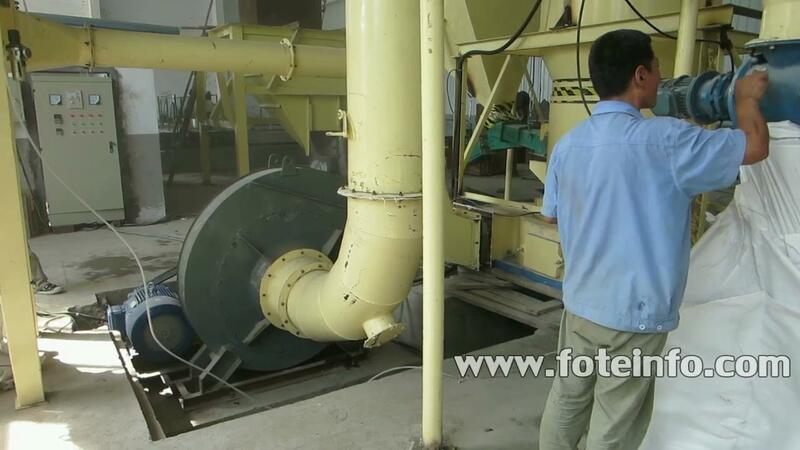 Raymond mill has easy adjustment, small volume, light weight, low energy consumption, convenient maintenance. 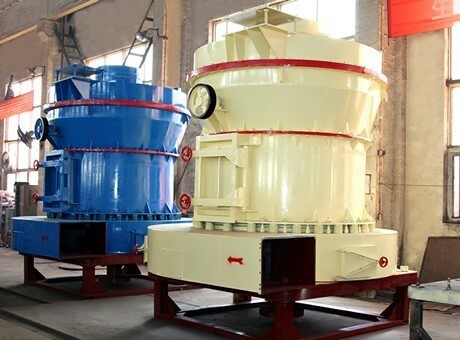 Different types and sizes of Raymond mill have different prices. The price is generally from thousands dollars to ten thousands or hundreds of thousands dollars. If you need our latest quotation of Raymond mill, you can tell us your specific type and quantity of Raymond mill after deciding its size. We will then send you the Raymond mill price. You can also send an email to info@sinoftm.com to consult us.